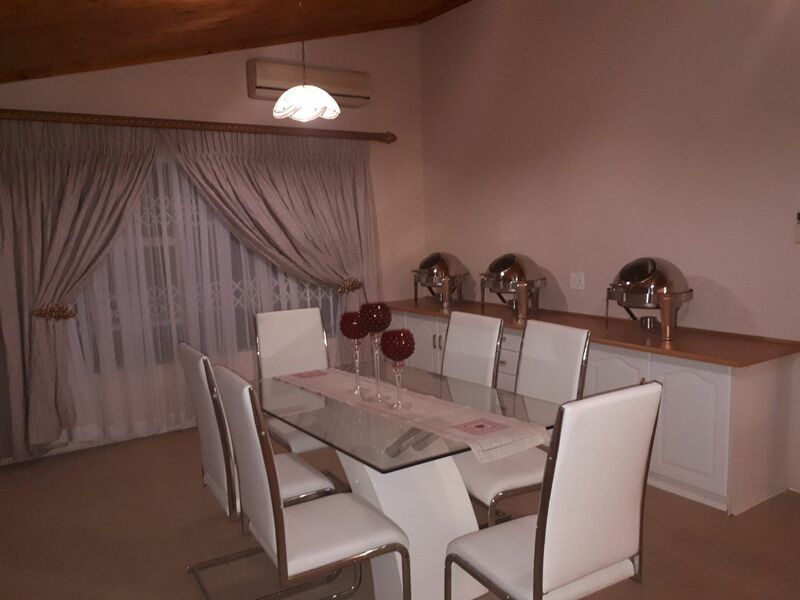 FROM R680 PER UNIT p.p. 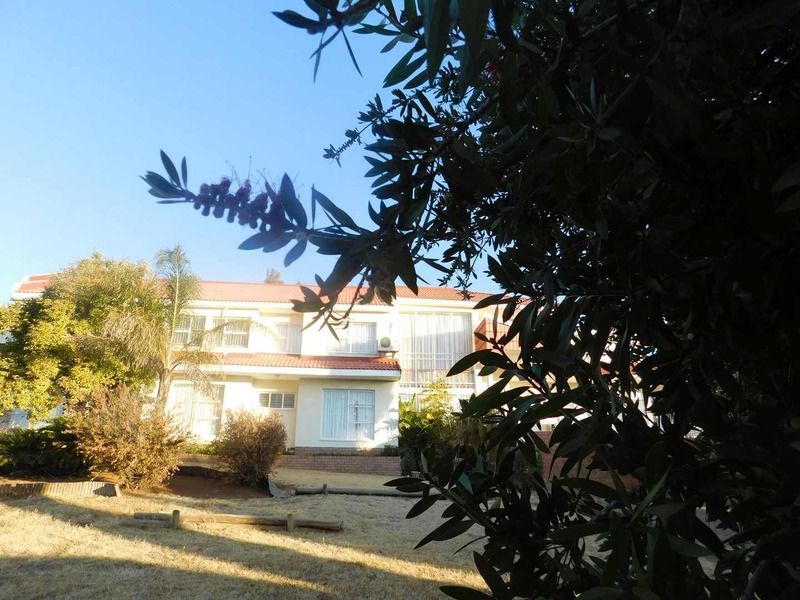 Pentagon Park Guest House is situated in the northern suburb of Bloemfontein, 5 km from the N1. 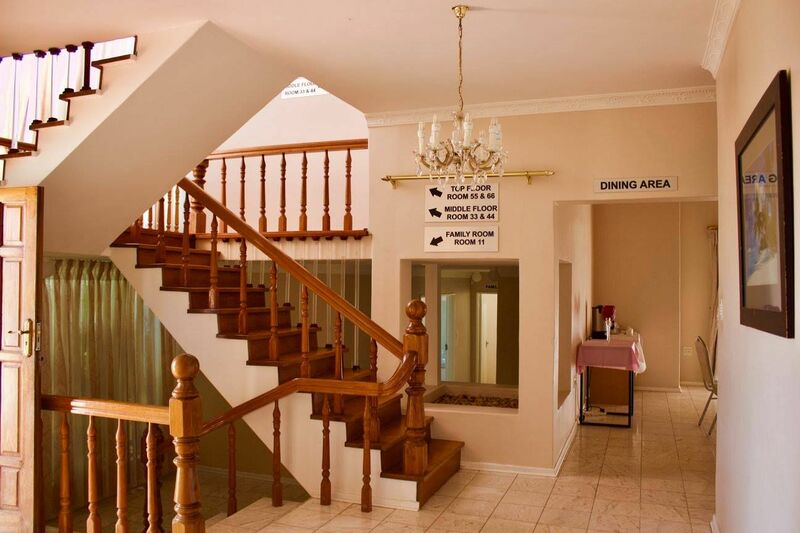 The Guest House is close to Northridge Mall, Bayswater shopping centre, Loch Logan Waterfront that offers a variety of shops and restaurants, Oliewenhuis, Naval Hill, Orchid House and Medi-Clinic hospital. 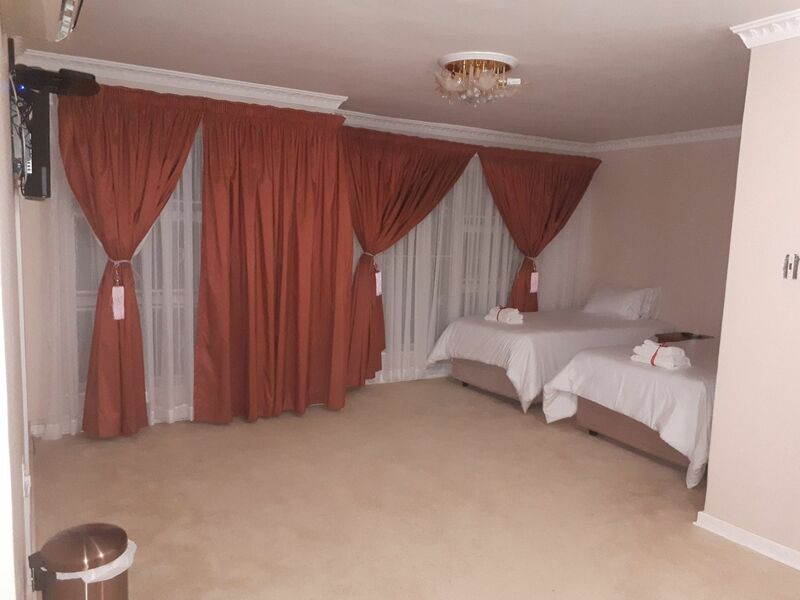 Relax after a stressful and busy day, the alluring quality beds and luxurious white linen invites you to stay in the sophisticatedly decorated rooms where comfort and leisure is the order of the day. 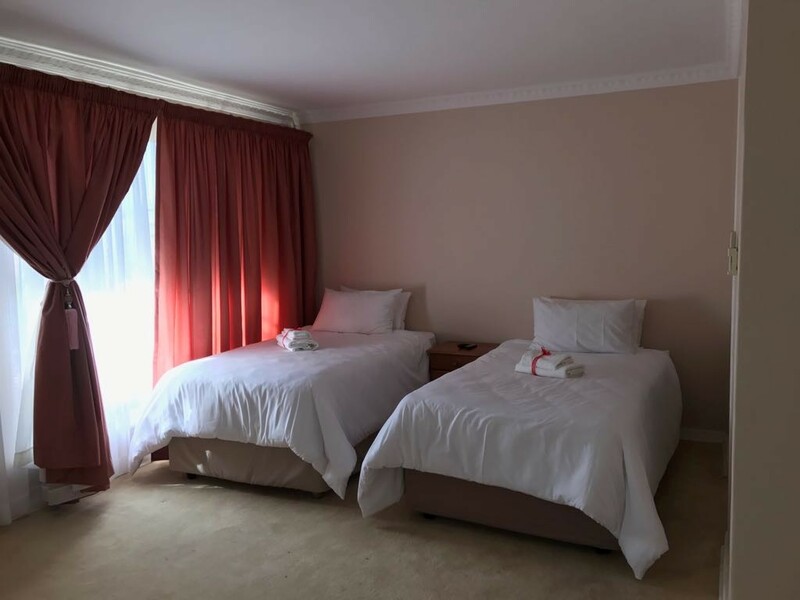 In-Room facilities include: beds, tea/coffee facilities, bathroom amenities, bathroom, heating, bed linen provided, towels, clothes rack, wardrobe/closet, air conditioning, desk, ironing facilities, seating area, flat-screen TV, satellite channels, bath or shower, carpeted, soundproofing, garden view and Wi-Fi. 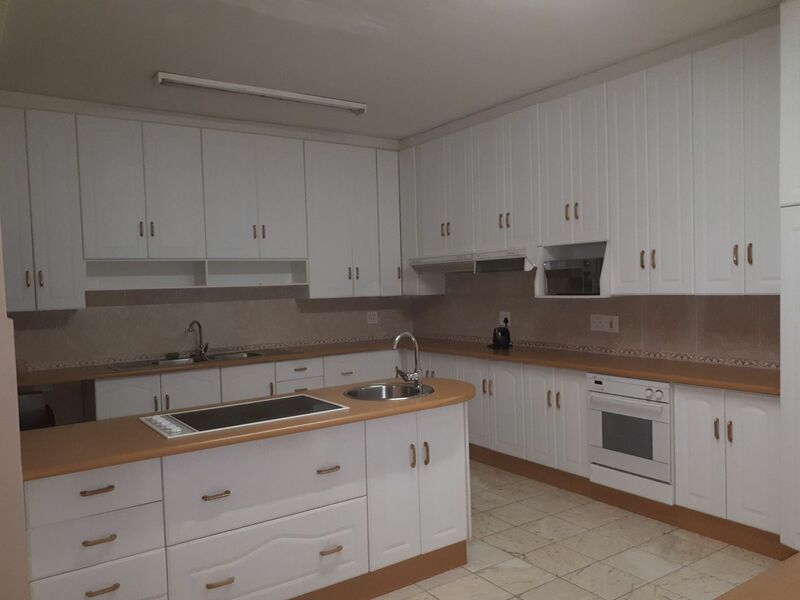 Description: This family room has a seating area, soundproofing and flat-screen TV. 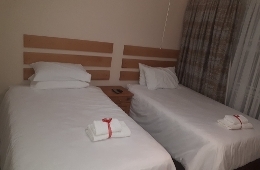 Description: Standard Twin Room has a satellite TV, soundproofing and seating area. 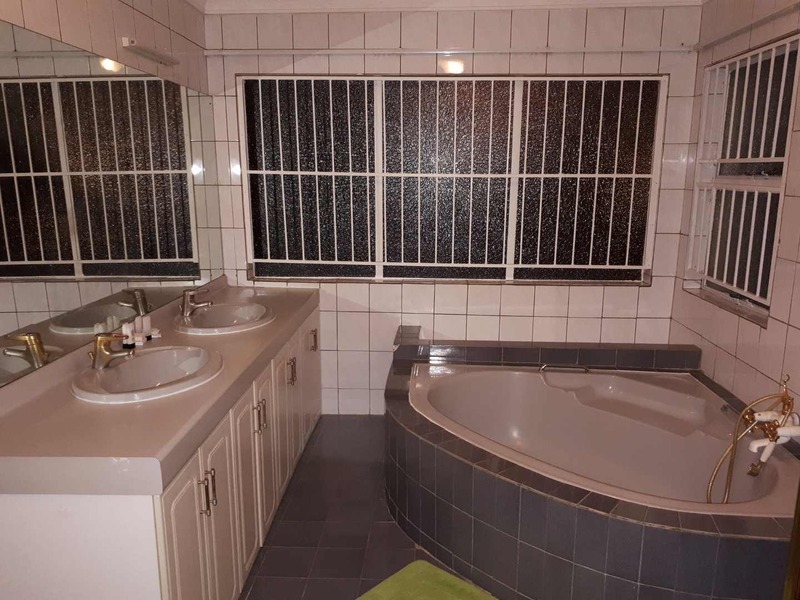 Description: This twin room features air conditioning, seating area and soundproofing. 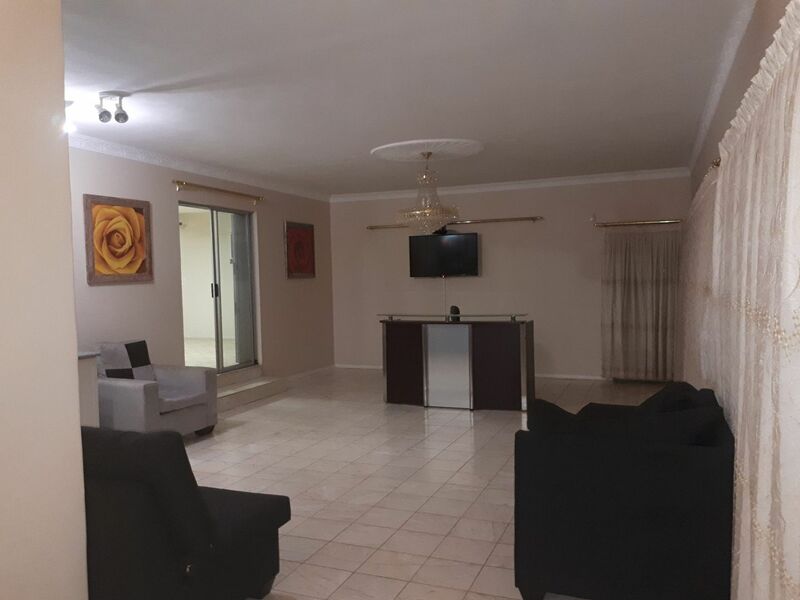 Description: This twin room features air conditioning, soundproofing and satellite TV. 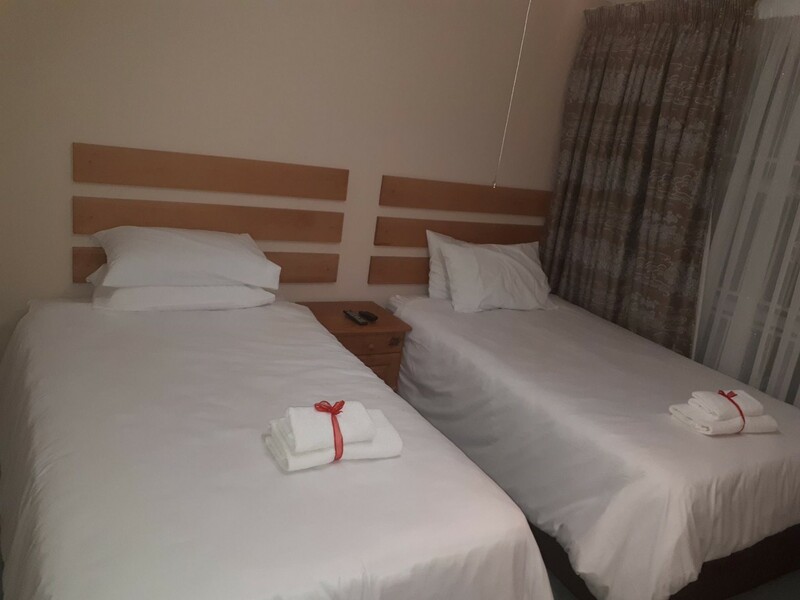 Description: This double room has a satellite TV, soundproofing and seating area. Children age 4 and over are charged as adults. Head southeast for - 3 minutes (1km). 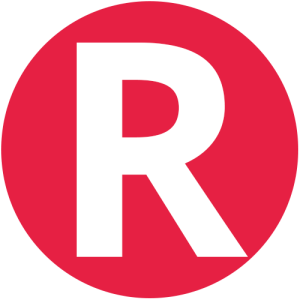 Take N8, Rudolf Greyling Street and Wilcocks Road to Olympus Drive in Bayswater - 11 minutes (10. 5km). Continue on Olympus Drive. Drive to Japie Ludick Street in Pentagon Park. 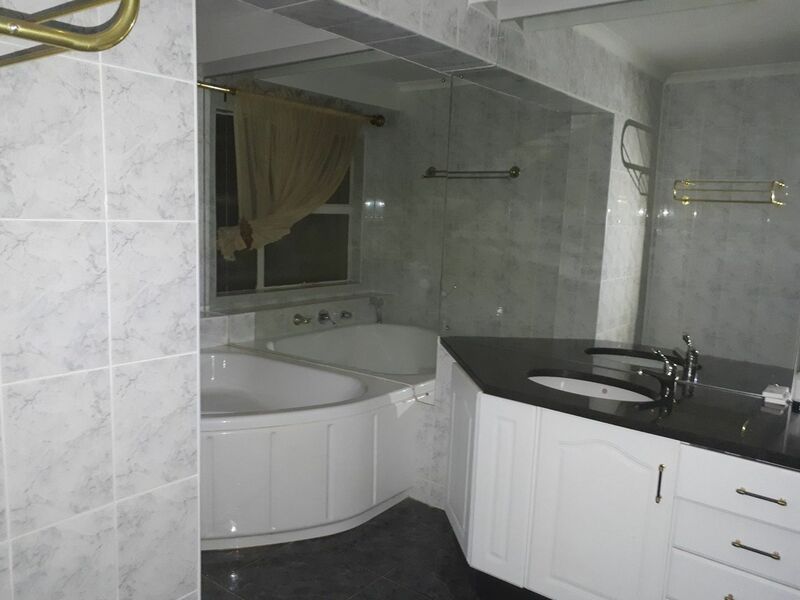 Contact Pentagon Guesthouse directly. Send them an email.